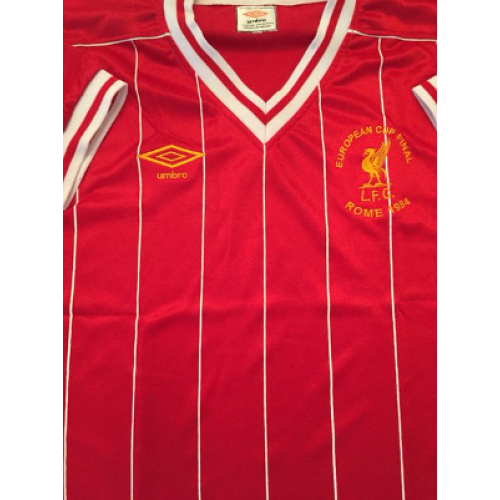 This Liverpool retro shirt 1983-1984 was used of players like: Kenny Dalglish, Ian Rush, Graeme Souness and others. 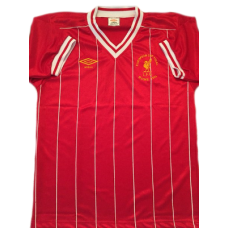 The 1983–84 season was the 92nd season in Liverpool F.C. 's existence, and their 21st consecutive year in the top-flight. 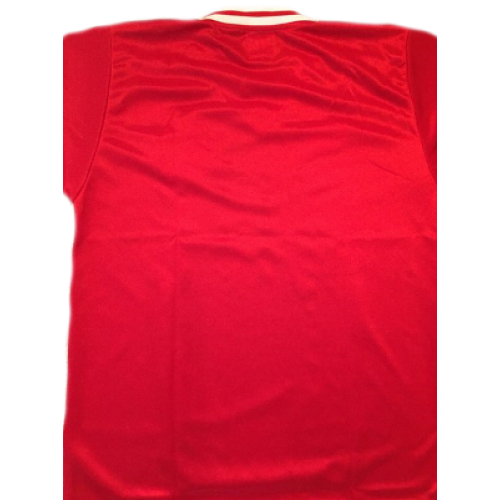 It was Liverpool's first season under the management of Joe Fagan, who was promoted from the coaching staff after the retirement of Bob Paisley, their manager of the last nine seasons who had won at least one major trophy in all but the first of his seasons as manager (including six league titles and three European Cups). Fagan's first season as manager ended with Liverpool becoming the first team in England to win three major trophies in the same season as they won the league title, European Cup and League Cup. 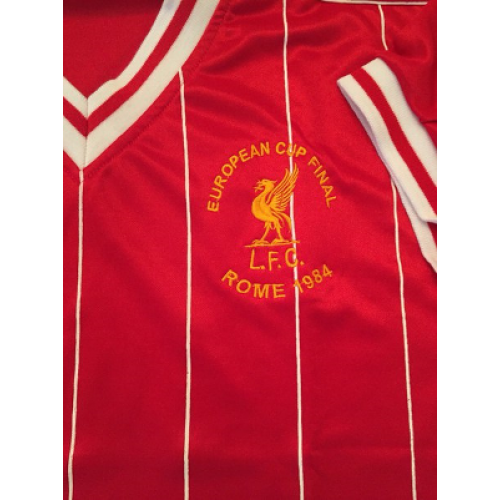 They beat Roma on penalties to win the European Cup for the fourth time (their sixth European trophy win overall), and defeated Merseyside rivals Everton in the League Cup final replay, and fought off a challenge from the likes of Southampton, Nottingham Forest, Manchester United and Queen's Park Rangers to win their 15th league title, and their third consecutive title. 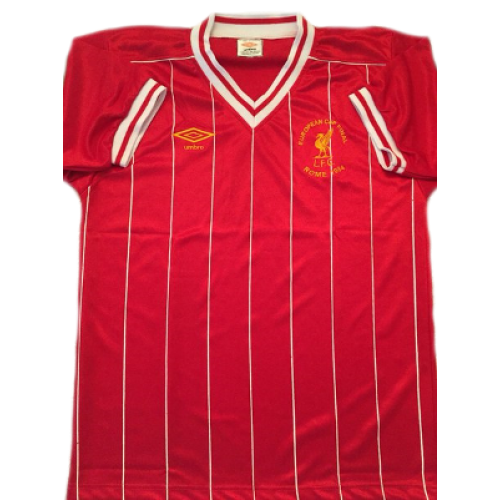 The undoubted star of the season was striker Ian Rush, who scored 32 goals in the league and 47 in all competitions. It was the last season at the club for midfielder Graeme Souness, who was sold to Italian side Sampdoria at the end of the campaign.